Yeah, its been a while since I posted anything. I’ve been plenty busy with hikes and all. Finding time to process my work is an issue. This post relates to a hike back in Feb. A visit to the current ocean entry. It’s basically still in the same general area. The only difference now are the benches (New land) are larger. It was quite windy as always. We had ourselves a very windy winter on the Big Island of Hawaii. Or many now call it Hawaii Island. I also loaded a full HD video to my Vimeo page. I met a couple of friends at the flow on this outing. It continues to be a nice short walk of maybe 45 minutes at best. Don’t let anyone fool you, its nothing difficult unless you hike from the park side at the end of Chain Of Craters Road. Then its about 14 miles round trip. An easy 3-4 miles on the Kalapana side. You will see in some of my photos that people are going down onto the new land and to what they perceive as a new black sand beach. (Image posted below) Stay off of these areas. They aren’t even slightly safe. Just because you see others who are supposed lava experts doing it doesn’t mean its safe. That’s not a real beach. Its broken down lava rock on an unstable bench that is undercut and ready to collapse. Just watch in my video when the lava tour boat goes right up to that supposed beach. The waters deep and when the land goes, you go with it. If you understand all of this and still go there, good luck. There are other hiking adventures I will post about once I’ve accomplished everything I’ve set out to do. This could take weeks or even months. Those posts will be much more detailed as the hikes were much more involved. Enjoy and pass along this post to your friends. This was my 20th Ironman race. All as a spectator. So, I took only a few images before sunrise and the swim start and the first pros to exit the ocean. There was a small south swell. Lucky for the main group of swimmers, a larger set of waves came in just before their mass start. Many could have been caught on the fringes of the outside breakers. Anyone who did the race in 2004 or 2005, you can look for yourself in the galleries below. File numbers are the race numbers. Images are for sale as digital downloads for personal use only. Publishing requires licensing. This year I wanted to get some shots with my Nikon D8oo. A great example of what this camera can do is the image below showing the extreme crop of the middle window opening. Check out the amazing detail. It’s a shot of the Kona Inn restaurant at morning twilight. 5:44am. Let me add that this is a great place to eat. Made another visit to the lava flow area. Activity was very subdued with many stagnant lobes of Pahoehoe lava scattered all over the flats below the pali. Finally found one small spot of more fluid breakouts. The pali flows were also sluggish. If it weren’t for the steep terrain they are on, they too could have easily been stagnant. It was still a good visit. Windy as usual with some rain. Only took a few photos. Again, the new Nikon D800 is an amazing camera. A few from this hike will be in the Kona stores by late next week. Added images from around here in Kona to the website. Just shots captured while playing with the D800. Mostly I’ve been shooting stock photos. This is a short post. Still waiting on the right weather conditions for my larger photo expeditions. O-tech – Coastal shots of tide-pools and waves. My Black Friday special is Free Shipping on all orders. Visit my website gallery and choose Free Shipping at checkout. This is a great opportunity to save shipping costs for large prints. Especially metal. Larger sizes on metal include free crate cost. 30×45 and larger. 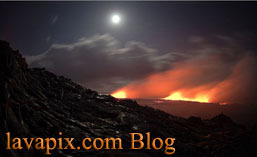 Several new Panoramic images added. Open this one and click on the keyword panoramic to view all together. Many only available on my website. Sizes 12×24, 18×36, 24×48 (Metal Only) and 30×60 (Metal Only). Special starts now and ends Friday night 11-25-11 Hawaii time.